HASNAIN ALESKAN is Partner of DAMSON Group and CEO of Humsys Ltd. He is expert in ICT, technology startups, and venture investment advisory. 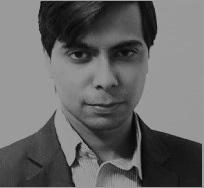 Hasnain advices business conglomerates, SMEs and Start ups for New Product Development, Investment Strategy, ICT Strategy, Capital Economy and Emerging Markets opportunities, Social Media campaigning, Digital Native Vertical Brands (DNVB), Digital Public Relations, Blockchain advisory, and Fin-Tech advisory. His technology consulting venues include Web Solutions, Cyber Security, ICT Vendor selection, Cloud Computing, Big Data, Data Analytics, Digital Transformation, Digital Workspace, IoT, Mobile Enterprise, ICT Platforms & Infrastructure, Social business, Outsourcing, Virtual Learning Experience, E-Commerce, M-Commerce, & V-Commerce. His investment & Equity advisory includes Venture Investment, Angel Investment, Seed Funding, Equity Crowdfunding, Bridge Financing, Sweat Equity, Bootstraping, and Revenue-based Financing. His typical clients range from General Partners (GPs), Venture Partners, and Principals and Associates to Entrepreneurs and Entrepreneurs-in-Residence. Hasnain's startup consulting covers all phases of idea generation, start-up, ramp-up and exit. He also advices on IPO and M&A.